Welcome to Autobahn Collision Center, Los Angeles’ number one choice for eliminating dents without damaging the paint or body of your vehicle. 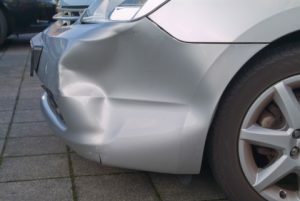 Paintless dent repair (PDR), is the fastest, most affordable, and least invasive method of removing dents. With our licensed and experienced technicians on your side, it’s only a matter of time until you’re back on the road with a car that looks as though it’s never been dented before. Whether the dents were caused by a collision or a hail storm, we can handle them with precision. Our process was designed to carefully massage the dented panels back into their original shape while leaving the factory paint in perfect condition. This option allows you to get back on the road without having to purchase replacement panels and have them painted and installed. Autobahn Collision Center in Torrance is a trusted and honest auto paint shop that has been in business for more than 20 years. It would be our pleasure to provide you with excellent auto repair service. We apply our professionalism and expertise to all makes and models, domestic, foreign, or exotic. Give us a call for a free estimate, or stop by whenever is most convenient for you. No task is too big or too small for our crew. Let’s get started today.